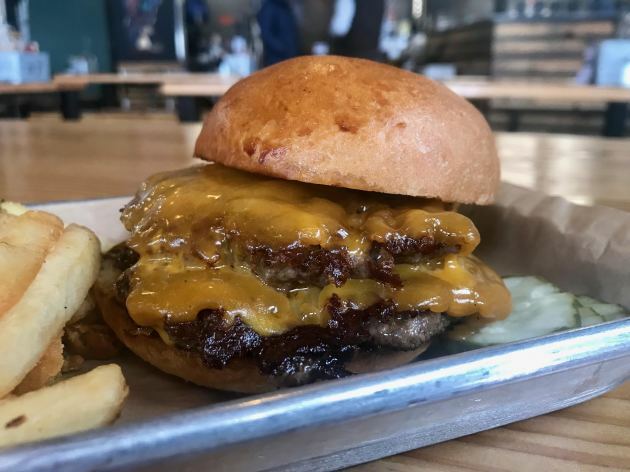 The burger: The Tipsy Steer, the food counter inside Invictus Brewing Co., is really doing everything right, burger-wise. Scrutinizing each detail to the nth degree is an important strategy when the burger — in this instance, a double-patty cheeseburger — is built with just a few key components. There’s no room for error, right? At this nine-month-old operation, it’s basically bun, beef and cheese, and they co-exist in near-perfect harmony, magically melding together with each steaming-hot bite. 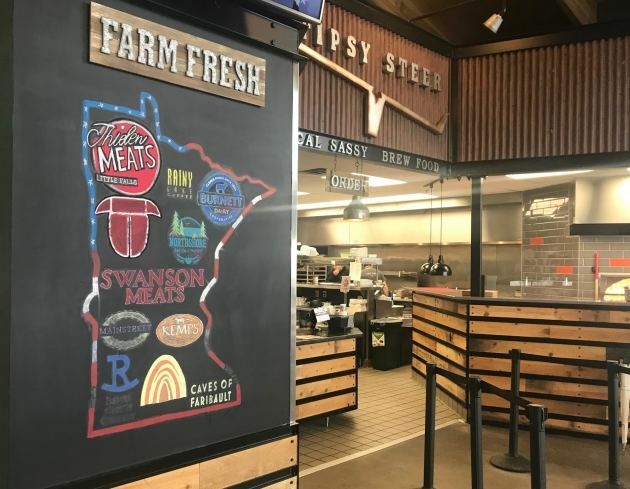 The beef hails from Revier Cattle Co. in Olivia, Minn., a premium producer that turns out a noticeably premium product. The ground beef, seasoned only with salt and pepper, is formed into wide, relatively thin patties — it’s a substantial amount of meat — and cooked, in its own considerable juices, on a hot flat top stove. Why two patties, instead of one? Do the math. “Two patties means four cooking surfaces,” said operating manager Heidi Hrudka. “There’s more char on four surfaces than two, and that makes for a more flavorful burger.” It does, indeed. The bun — soft, golden, with a hint of sweetness — is baked at Mainstreet Bakery in Edina. The cheese is aged Cheddar, and plenty of it. When it comes to garnishes, restraint is the word that applies. I barely noticed the swipe of mayo that’s teased with a hint of truffle. Pickle chips, crunchy and nicely vinegary, create a more lasting impression. Lettuce and tomato are available, free of charge. “But it’s a great burger on its own, without anything on it,” said Hrudka. Agreed. This is a keep-it-simple burger, definitely. Besides, the kitchen lays it on thick with a half-dozen other burger options ($13 to $13.50), everything from a blend of pimento cheese, olive tapenade and roasted red peppers to a pile-on of Gorgonzola, aged Cheddar, caramelized onions and bacon. There’s also a turkey burger on cranberry-walnut bread, and the meatless patty of choice is from the first-rate Impossible Burger folks. The kitchen’s top-selling version is, naturally, the double-patty cheeseburger, with a twist: the addition ($2) of thick-cut bacon, from Thielen Meats in Little Falls, Minn. I don’t know about you, but I’m loving this trend of finding first-rate burgers at taprooms. It's the whole burger-and-a-beer thing, right? Find others at Surly Brewing Co in Minneapolis, Birch’s Lowertown in St. Paul and Wooden Hill Brewing Co. in Edina. Price: $11, a great value. Address book: 2025 105th Av. NE., Blaine. Open 4 to 11 p.m. Monday and Tuesday, 11 a.m. to 11 p.m. Wednesday and Thursday, 11 a.m. to midnight Friday and Saturday, 11 a.m. to 10 p.m. Sunday.